Bangladesh, undoubtedly, is well on it’s way to becoming “digital”. It’s the fresh, young minds of the youth in our nation who are thriving off the endless opportunities the internet offers them. 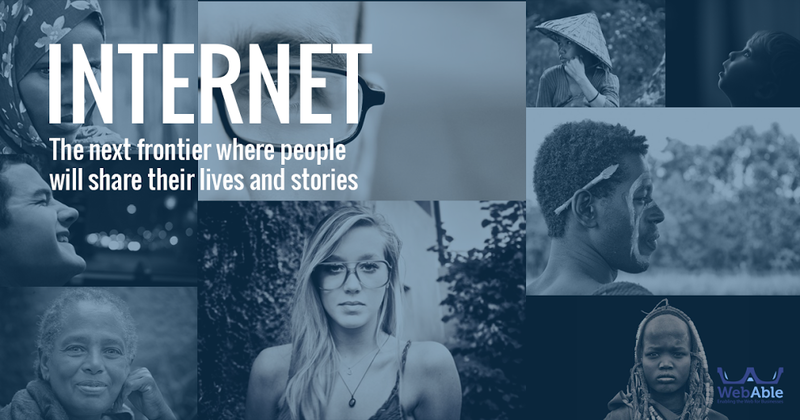 The internet is not just a tool- it is a platform, a stage, a bank, a sanctuary, a weapon,an endless document of data, and in fact, the internet can be whatever you choose it to be. Artists, engineers, hackers, businessmen – anybody and everybody has made it their own. In the recent few years, Bangladesh has been hit by a tidal wave of entrepreneurs, startups and small businesses alike and it’s safe to say the thanks should be due to the internet. The internet has been embraced by Bangladesh- people are willing to harness the potential of the internet. For the hungry entrepreneur the internet is a goldmine- an unlimited audience, borderless horizons to reach and a bottomless offering of information. Businesses need more than just great minds to become a brand. They need a vision, a fail-safe strategy and sweat,blood and tears to break free from a thousand mediocre organizations into a unique, competitive one. How is it done? 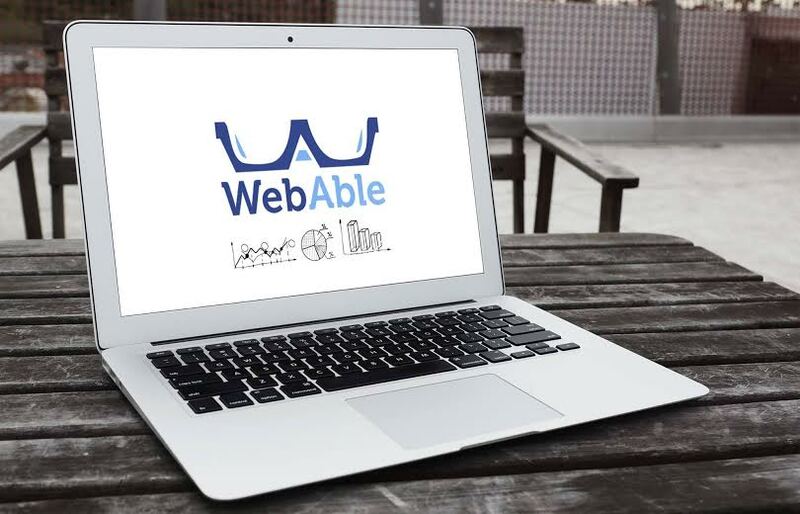 WebAble is a small startup with big dreams and bigger ambitions. It’s a startup that didn’t just emerge into existence simply for the sake of it, but was born with the idea that they will change the face of digital marketing by doing things in a different way- a crazy way. BridgeWee’s story is a special one. A brand’s whose image was single handedly made online by Ovick Alam, the CEO and co-founder of WebAble. Ovick’s story starts with BridegWee. BridgeWee was made without any resources at hand. The only thing available to help BridgeWee was the power of social media, and it came through for BridgeWee. What applied for BridgeWee applied for WebAble, as well as every other brand WebAble has successfully worked with. Research- thorough research backed by data, engagement with audience and building a loyal community around the brand with just enough passion- that’s what WebAble does, and has done brilliantly every time. It’s not a company that simply offers you thousands of likes. WebAble offers you to stand out amongst your competitors, offers you creative content that brands you, and offers you the security that only number-driven strategizing can. WebAble campaigns are built on foundations of concrete research, data, analysis, creativity and most importantly a talented team. The WebAble team is headed by three individuals- they are different people tied to together by the same passion,energy and willingness to utilize the internet in Bangladesh as never before. They don’t do things halfway- it’s all or nothing for them. This trio is the head,heart and soul of WebAble and by looking at them and how they do things anyone can envision why WebAble is the game-changer in the digital marketing scene. The founder of Webable, Ovick, initially started an educational institution, Bridgewee, back in 2009 when resources were scarce. He literally built the BridgeWee brand online! His passion for digital helped him end up in the world of online marketing. By using the power of social media, he managed to successfully reach his target, conducted market research, engaged with audience and most importantly built a strong and loyal community around BridgeWee. This is what Ovick does but who is he? A marketing major from the University of Dhaka looking to do something outside the box, Ovick knows his way around marketing and branding. He saw he could do something new and unprecedented in Bangladesh- help small companies out by enabling the web and use a strategy- a data driven and creative strategy. The vision here remains to use unconventional marketing methods and take businesses to the next level- online. Shadab, one of the co-founders of Webable, is a risk taker. He left behind his old job and dived into WebAble in hopes of using his skills to make it big. Shadab knows how to write, he mastered the plethora of online and offline tools to gather data, he figured out the secret of creating great content- everything required to set WebAble on its way to success. Shadab never stops learning- online branding, content marketing, web programming- he does it because he loves to do it. Shadab currently studies Finance in University of Dhaka and is now focused to communicate the true value of internet technology through Webable and be great value addition to the Bangladeshi online experience. His journey started out back in ‘09- his belief that Bangladeshi youth had more to offer and his explorations led him co-found WebAble. He has a multi-faceted knowledge of the internet and utilizes it to get the best results for online businesses. Anis, co-founder, is the solution finder. Spending his whole life in Saudi Arabia until university, he came to Bangladesh with a vision to do something that would put Bangladesh on the map. He struggled by himself in Dhaka, yet he moved on with a passion and drive that he would succeed in his venture. He may have hit a road-bump with a small web development start-up that didn’t make it but that’s who Anis is- he doesn’t give up, and he still hasn’t stopped working tirelessly to help small brands compete with international ones in a way that makes a statement. His extensive knowledge of not only the market, but of people,numbers, businesses, trends, ideas and what not ties together the team to bring it all online. Ovick, Shadab and Anis indeed are three different people with three different skill sets- yet what makes them work successfully together is the vision to see Bangladeshi businesses go online and do it in style. Like the internet, ambition is equally effective in cumulating the rebel streak in hackers, charm of salespeople and the recklessness of entrepreneurship. Would I Buy The Amazon fire Phone?